What inspired you to create the app? How long did you take to develop it and make it operational? Pastor Dominic 2009’s Watchnight message on “Blessed to be a Blessing” challenged me to explore avenues in which I can be just that to others. Since then, I’ve received a vision from God that through mobile devices, more people can be reached. After sharing my vision with Trinity’s Corporate Communications team, the app was conceptualized in April this year. Another five months of hard work was spent on coding the app and now it is finally available. Creating the app must have been a time-consuming task. What kind of sacrifices did you have to make? Yes, it was. I had to make some adjustments to my daily schedule but, thankfully, without affecting my job and family time. Most of my coding was done after my kids were asleep. I had to learn how to develop the app. With a God-given passion for programming, I researched various sources from the Internet and library books. I also made an investment to purchase the developer’s license from Apple in order to test out the app before releasing it. What is one feature of the app you particularly like or hope users would enjoy using? 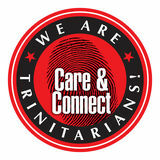 Nominate your Trinitarian Hero! Email connect@trinity.org.sg to tell us why you think this person best espouses the vision and values of Trinity. The ability to access the latest sermons! This app allows Trinitarians to listen or watch the sermons that they have missed. Any other dreams or aspirations you have brewing up? Continuing on from the vision God gave me, I’m looking forward to seeing the Trinity app available on other mobile platforms such as Android and BlackBerry.